Taiwan’s export orders dropped year-on-year for the fifth consecutive month in June (photo courtesy of UDN.com). Affected by a variety of factors, including fallout from the Greek debt crisis, slowing growth in China coupled with its recent stock market slump, steady displacement of Taiwanese suppliers by mainland Chinese counterparts, sagging commodity prices that have impacted the Canadian and Australian economies, tepid market demand, relatively high NT-dollar-to-greenback ratio compared to Japanese yen and Korean won, and slower-than-expected inventory clearance among global buyers, Taiwan has seen its export orders continuously drop over the past few months this year, with such downtrend likely to continue. 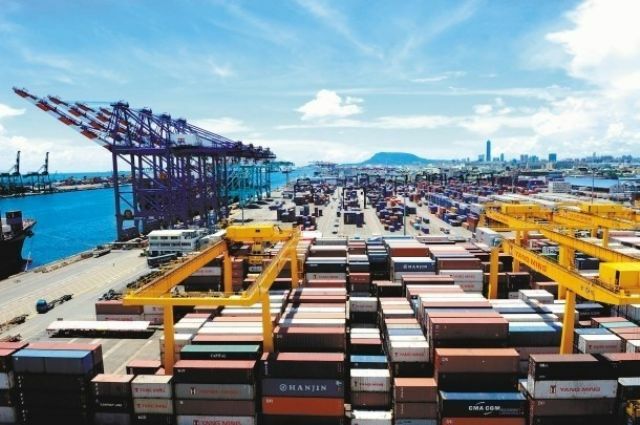 According to the latest report by the Ministry of Economic Affairs (MOEA), Taiwan's export orders received throughout June totaled US$35.58 billion for a 2.2 percent increase over May, but still represented a 5.8 percent drop from a year ago. Since February, overall export orders have remained on a downtrend for five consecutive months. On a yearly basis, the MOEA notes that of the total, only export orders for ICT (information and communication technology)-based products showed positive growth of 1.8 percent, mostly thanks to increasing assembly orders placed by global branded vendors of wearable devices. On another front, dampened by anemic market demand for computers and smartphones, along with downstream customers spending longer time than expected on inventory clearance, the electronic sector saw export orders dive 6.7 percent year-on-year (YoY) in June, reports the MOEA. Noteworthy is that export orders landed by the local base metal industry have continuously declined for eight months in a row since last November, due mainly to a glut of China-made steels and a new round of underselling competition among Asian steelmakers, which have severely undermined both market demand and prices, indicates the MOEA. Also, the precision instrument sector witnessed export orders plunge by 15.9 percent month-on-month in value, to which the MOEA attributes weak market demand for display panels along with a lingering oversupply situation. For the first half of this year, the MOEA reports that Taiwan's cumulative export orders reached US$217.05 billion, down 1.5 percent from the same period of last year, with those received during Q2 dropping 5.2 percent YoY in value, the steepest drop since the global financial tsunami in 2009. In addition to macroeconomic reasons, the MOEA also ascribes the lackluster export order for Taiwan in June to global currency fluctuations. An MOEA official says Taiwan's export orders from Europe showed a double-digit yearly drop in June, compared to only a 1.7 percent decline seen in May, primarily because the Greek debt crisis has dragged down the euro-to-U.S.-dollar rate. In June, the euro-to-greenback rate dropped 17 percent than a year ago, which drove European buyers away from placing orders with Taiwanese suppliers, who generally quote prices in U.S. dollar rather than euro. The devaluing euro has also led to slack consumer demand across the euro bloc, including that for PCs and smartphones. With ATM withdrawals and capital controls still in place in Greece and the Greek debt crisis still far from over despite emergency aid from the International Monetary Fund and European Central Bank, the MOEA says it is uncertain whether market demand there will rebound in the second half of this year. Amid strong U.S. dollar, the MOEA notes that Taiwan's export orders from not just Europe, but such emerging countries as Brazil and Russia have all shrunk so far this year. Orders from the ASEAN (Association of Southeast Asian Nations) bloc have declined as well, mostly due to lower crude oil prices, says the MOEA. Meanwhile, export orders from both China (including Hong Kong) and Japan also dropped drastically in June compared to last June, but for different reasons including China's ongoing plan to localize its supply chain to reduce dependence on imports, especially ICs and other high-tech, high-precision instrument, and the withdrawal of Japanese branded vendors from the global market for LCD TVs. MOEA officials concede that export orders received in July are likely to keep declining on a yearly basis, and the total for the whole year may show a negative growth the first time since the global financial meltdown in 2009. To revive export growth, the MOEA has decided to offer necessary support to assist local enterprises with strong growth potential, especially those from such mainstay sectors as semiconductor, auto parts and functional textile, to further sharpen their competitiveness and help explore overseas markets. In addition, the Industrial Development Bureau has also mapped out a strategic project designed to adjust Taiwan's export structure and enhance added-value, mainly through helping local companies develop and export total solutions, to replicate industrial clusters overseas and strengthen growth momentum of inbound investment.